Drinks will be served from 6.30pm with the Annual General Meeting being held at 7.00pm, immediately prior to the Annual Dinner. 25 years ago Victoria led Australia, and arguably the world, as the 19th century asylums were swept away in the final phase of deinstitutionalisation. The land was sold and realised huge sums of money for government. We drastically reduced inpatient beds with were relocated to general hospitals, though typically squeezed into poorly designed and confined spaces. Victorians were promised this would work, provided we built strong community mental health services to allow us to cope with the loss of beds. There was initially great energy and innovation, with early intervention, dynamic and intensive home-based care and case management teams springing up. 20 years ago Victoria had the highest per capita spend of all States on mental health care, and was seen as the “jewel in the crown” of Australian and even global mental health care. Tragically over the past two decades, Victorians have seen this brave new world crumble and descend into an appalling crisis. I have characterised this decline as “Victoria’s Mental Breakdown”. The causes are clear. Firstly, the design of the new system was flawed with the governance and financing of the new system sitting unprotected within the major acute hospital networks, and the community mental health system, in which 95% of patients sit at any given moment, progressively neglected. Secondly, as stigma faded and the population surged dramatically, investment collapsed, and Victoria sank to the lowest level among the States. 3% of Victorians experience serious mental illness, which is the responsibility of State governments, yet only 1.1% are covered by current levels of expenditure. Hence, every day 2 out of 3 seriously ill Victorians are turned away from public mental health services. There is a rising tide, especially of young people, desperately seeking help in our emergency departments, widely acknowledged to be highly unsuitable venues for the care of distressed and suicidal people. Over 600 Victorians die annually from suicide. They don’t have terminal illnesses and their deaths are all therefore preventable. This collapse of public mental health care represents a “death of a thousand cuts”, and has happened in every jurisdiction where this careless and complacent approach to deinstitutionalisation has occurred. However, Victoria’s decline, her mental breakdown, is among the most spectacular and disappointing given such early promise. We cannot just blame governments, it is a collective failure of leadership and of our society that despite the dramatic rise of awareness and the decline of stigma, we have failed the severely mentally ill, and especially our young people in whom mental illnesses generally appear for the first time. The Andrews government is the first State government to face up to this crisis (which in truth is a national one) and acknowledge it. The Premier has now established a Royal Commission to produce recommendations for a solution to this crisis. Nothing less than a radical redesign, reform and stepwise investment to secure equity within the health system for people with mental illness will do. If this can be achieved the lives of hundreds of Victorians will be saved every year, our prisons will shrink, there will be fewer homeless people and our young people struck down by mental ill health will have the chance to live longer, healthier and more productive lives. There are grounds for optimism, Victoria remains the epicentre for a range of innovation, ground breaking international research, and novel treatments in mental health care, having pioneered early intervention, home-based treatment, depression awareness through beyondblue, and globally unique youth mental health reform through Orygen and headspace. Victoria’s mental breakdown is curable. The solutions will become available very quickly, and key elements are already “shovel ready”. The community and people with lived experience must have a strong voice in this reform. There is a great synergy on offer too. The Australian government is conducting a Productivity Commission inquiry into the impact of mental illness on the economy and society. This will reveal the neglect at a national level, the serious reductions in life expectancy, productivity, and the huge total costs of failure to invest in direct mental health care. We now have a once in a generation opportunity to transform the health care of the mentally and cross the last frontier in health care. Professor Patrick McGorry is the Executive Director of Orygen and Professor of Youth Mental Health at the University of Melbourne, and a Founding Director of headspace. He has played a critical role in the development of safe, effective treatments for young people with emerging mental disorders. He is a world leader in the transformational reform of mental health services for young people. 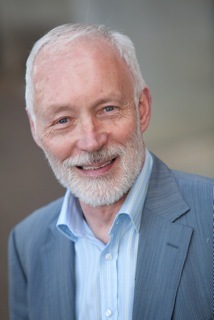 Professor McGorry is the key architect of the headspace model and its national and international expansion. From 1992, he led the design and global scaling up of early intervention for psychosis programs. Professor McGorry has published over 700 papers, edited 8 books, and is Editor-in-Chief of the journal, Early Intervention in Psychiatry. He is a Fellow of the Australian Academy of Science, the Academy of the Social Sciences in Australia, and the Australian Academy of Health and Medical Science. He was also the 2010 Australian of the Year. The charge to Members for the meeting is set on a "cost recovery" basis. Acceptances close Monday 15th July - As seating is limited please accept online as early as possible to avoid disappointment. Members may bring guests who need not be legal or medical practitioners.